Picture this. You spend years putting together a massive, ambitious RPG. After countless hours of hard work, you release your baby out into the public. Curious to see what people think, you start looking around the internet...only to see a small but vocal chunk of your fanbase wishing someone else had made your game. That’s been the story with Fallout 4 since its release back in November. Bethesda made the game, but plenty of people are wishing Obsidian Entertainment had made it in their place. As you probably already know, Bethesda bought the Fallout license in the middle of developing Fallout 3, and the “sequel” to that game, Fallout: New Vegas, was developed by Obsidian using the same tech that powered Fallout 3. Given that Obsidian was composed of former Interplay developers—the people who made the original isometric Fallout games—Fallout: New Vegas was seen by some as a return to form for the Fallout franchise, after Fallout 3 changed too much. New Vegas is often considered a beloved classic among RPG fans. It’s well-deserved acclaim...but, at times, it manages to overshadow Bethesda’s initial accomplishment in reviving the dead franchise in the first place. Some players recalled that Obsidian Entertainment once said they’d love to take Fallout to New Orleans—so of course people interpreted the picture as a hint that Obsidian might be developing a new Fallout game after all. The frenzy around an Obsidian Fallout game reignited that night...but, of course, that wasn’t actually what the picture teased at all. Sometimes, Obsidian even responds. As it turns out, they’re pretty game for the idea. It sometimes seems as though you can’t talk about Fallout 4 without having someone start talking about how good New Vegas is, how much they wish Obsidian, rather than Bethesda, handled modern Fallout games. It’s in every comments section for the Fallout 4 articles we post, I see it on Reddit a whole lot, and I’ve been emailed petitions about Obsidian and future Fallout games many, many times. Why does this happen? 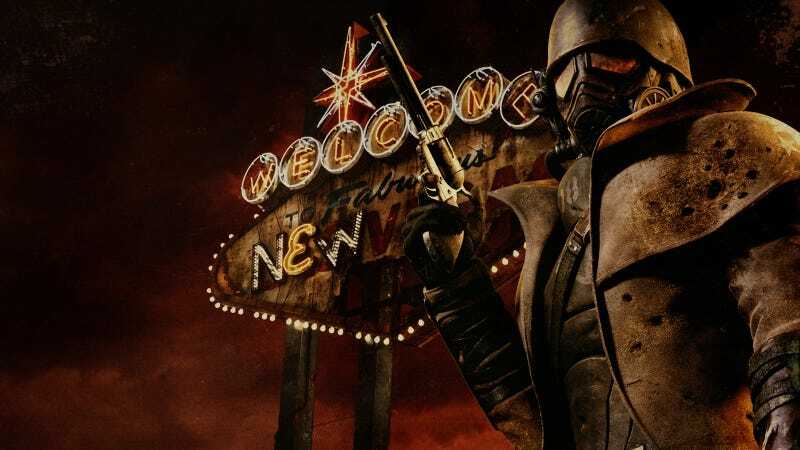 Clearly, people are hungry for the sort of game New Vegas delivered—that is, an experience focusing around RPG elements, and a rich, choice-driven post-apocalyptic story. That’s not what Fallout 4 is...which is not to say Fallout 4 is “worse” than New Vegas. The game just focuses on different things. Fallout 4 is more about combat and exploration, and I’d argue it’s pretty damn good at those things, too. I don’t fault people for getting excited about where Fallout could go next. We do the same thing for series like Grand Theft Auto, Assassin’s Creed, and The Elder Scrolls. People like hype. They like speculating about dream game locations. Personally, I don’t want to get too swept up in the idea of a game that may never exist. Something about that feels cruel to Bethesda, and makes it easy to lose sight of the many things Bethesda’s Fallout games have excelled at, like competent shooter mechanics, a lush, lively world that’s fun to explore, and a intensely addictive settlement system that lets us customize things to our own liking. After some of the more negative reactionsto Fallout 4, and the accompanying clamoring for a new Obsidian Fallout, it feels like Bethesda has something to prove with Fallout 4's DLC. That sort of pressure is good. Hopefully, it’ll mean that Bethesda won’t just rest on its laurels, won’t just ride the wave of Fallout 3’s commercial success. Fallout 4 is already out. It sold well, and lots of people own it. And as cool as it’d be to play another Obsidian Fallout, the current question is: where will Bethesda take Fallout 4 next? I’m looking forward to finding out.